Production for Ryan Coogler’s Black Panther movie has picked up from its location in Atlanta and has since moved over South Korea, where one fan has caught footage of the first appearance of the King of Wakanda’s legendary body guards. It is the latest location of filming for Black Panther, currently the 11th Most Anticipated Film as voted by ComicBook.com readers. YouTube user RJArkell posted footage of the shoot from the Jagalchi Fish Market, a world famous landmark located in Busan, South Korea, and the site of Black Panther’s current production. The scene depicts one of Black Panther’s Dora Milaje, the infamous all-women protectors of the King of Wakanda, in what appears to be a calm-before-the-storm type of moment building up to an action sequence. Both Lupita Nyong’o and Danai Gurira are reportedly playing members of the Dora Milaje, though neither appear in this video. It’s unclear how much of the film takes place in South Korea, though it’s worth noting that Avengers: Age Of Ultron previously filmed on location in Seoul. Many of the action sequences featuring the Avengers taking on Ultron in-and-on a moving truck housing the vibranium body of the Vision took place there. Black Panther is currently in production and is the fourth upcoming film from Marvel Studios, after Guardians of the Galaxy Vol. 2, Spider-Man: Homecoming, and Thor: Ragnarok. Avengers: Infinity War will follow after Black Panther, making T’Challa’s adventure the direct lead-in to the next big Marvel team-up film. It is set to hit theaters February 16, 2018. 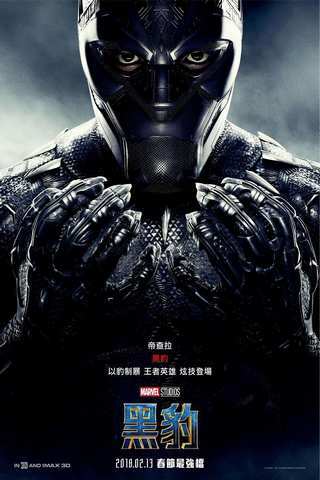 Are you excited for Black Panther? Let us know with your vote in the Anticipation rankings below!